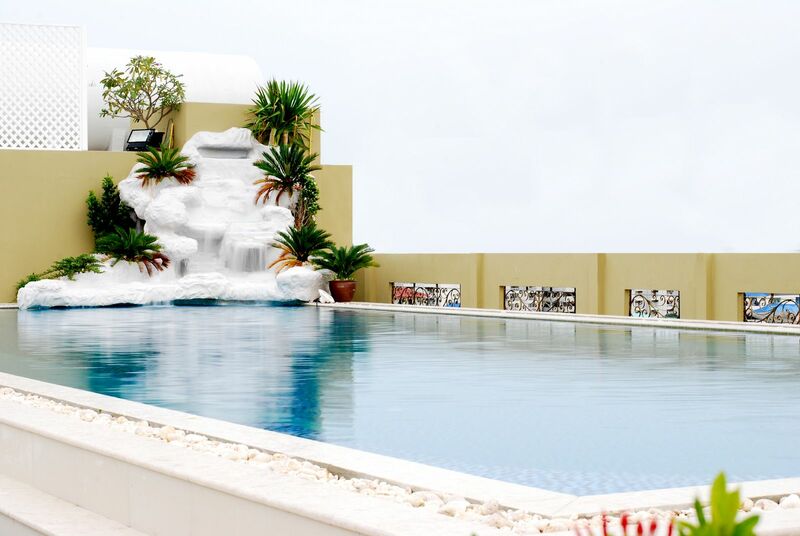 LK Royal Wing with stunning rooftop swimming pool and cheap food offers a complete package. 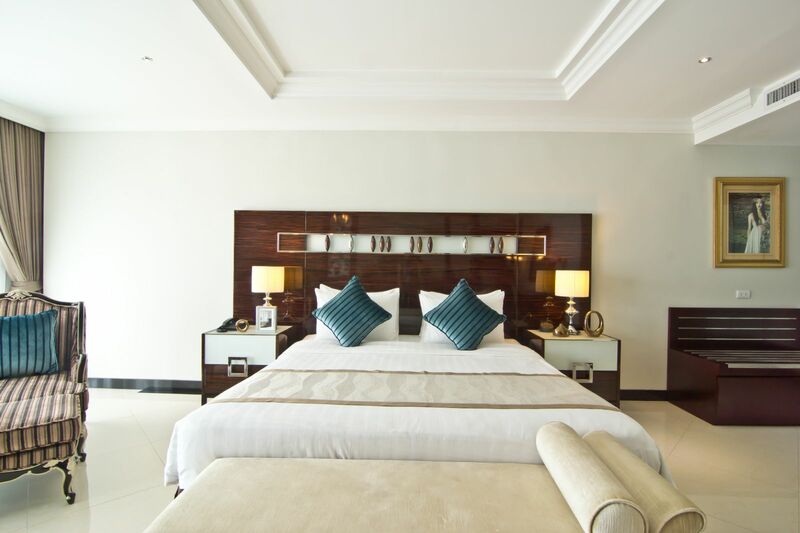 Right from basic to modern amenities, friendly staff, good location, well-equipped rooms and housekeeping, LK Royal Wing fits the bill perfectly. 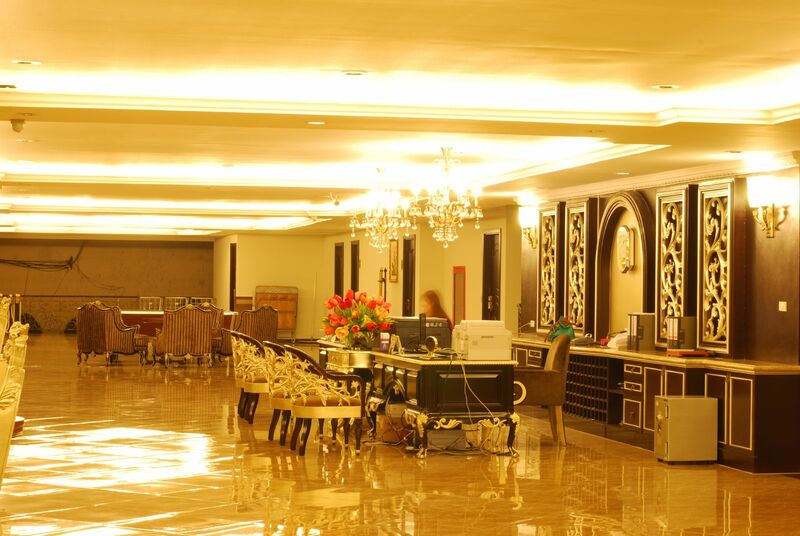 The highly professional and courteous staff makes your stay a comfortable affair. 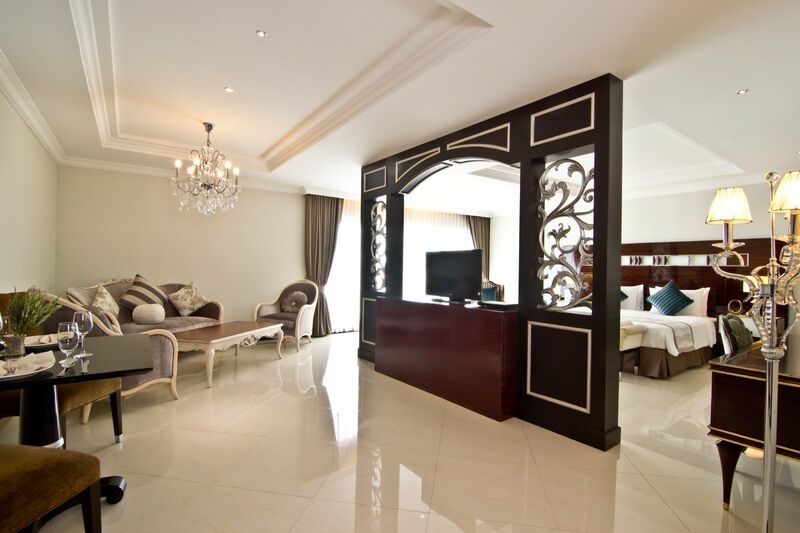 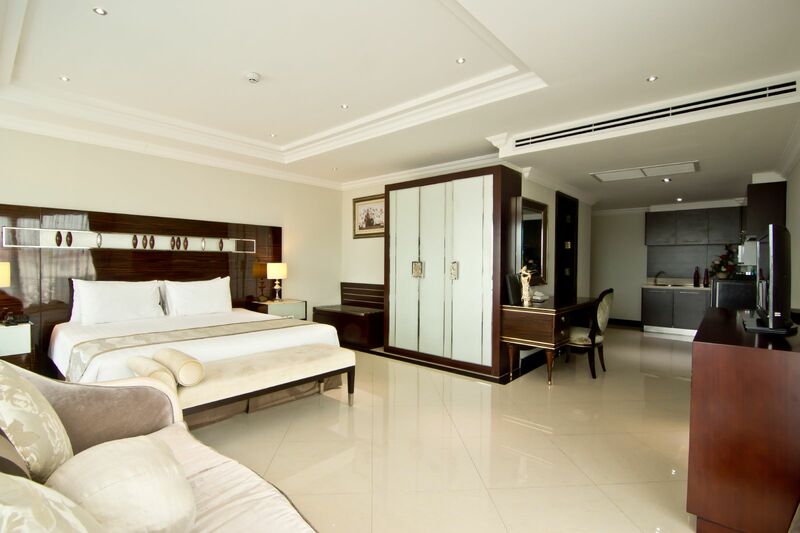 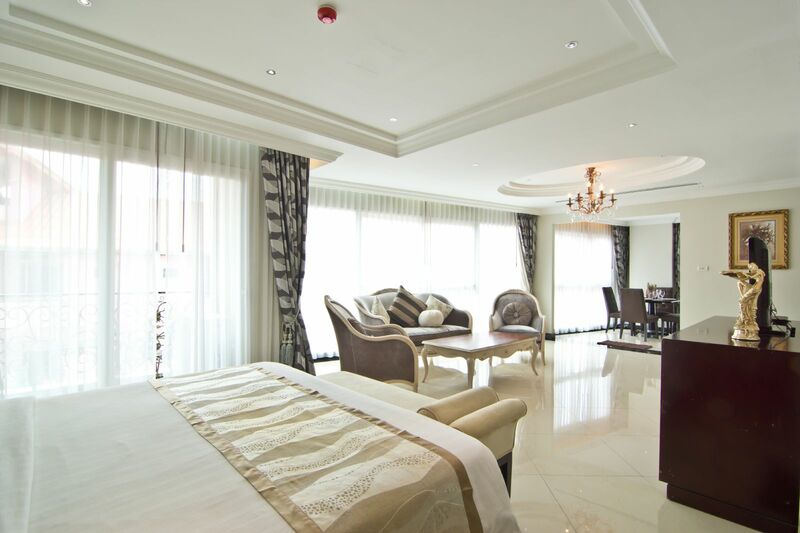 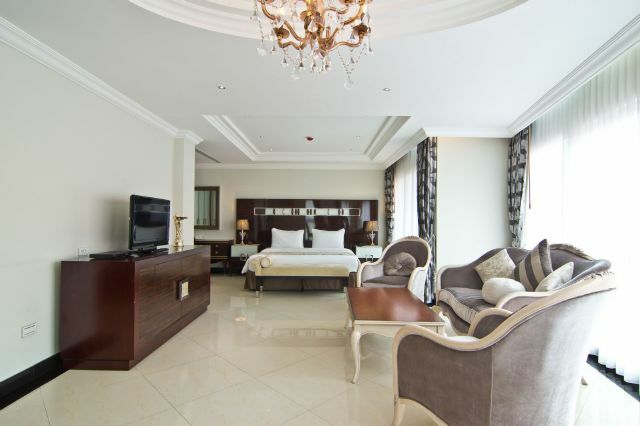 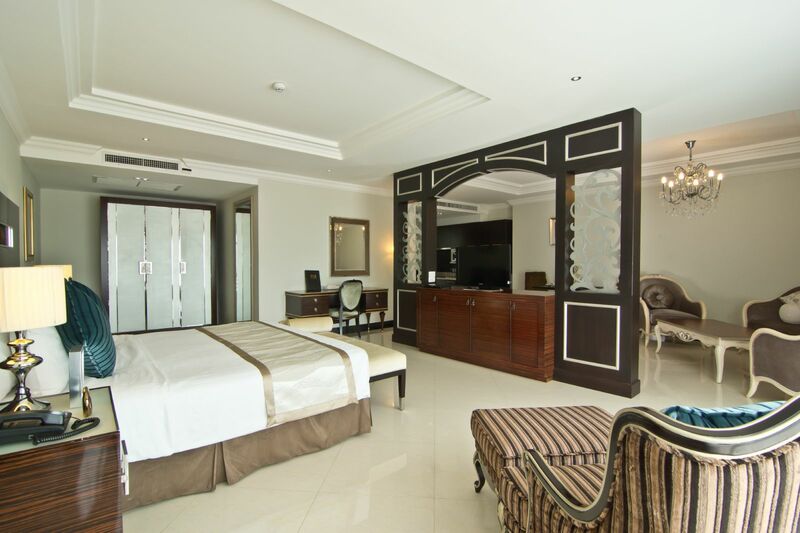 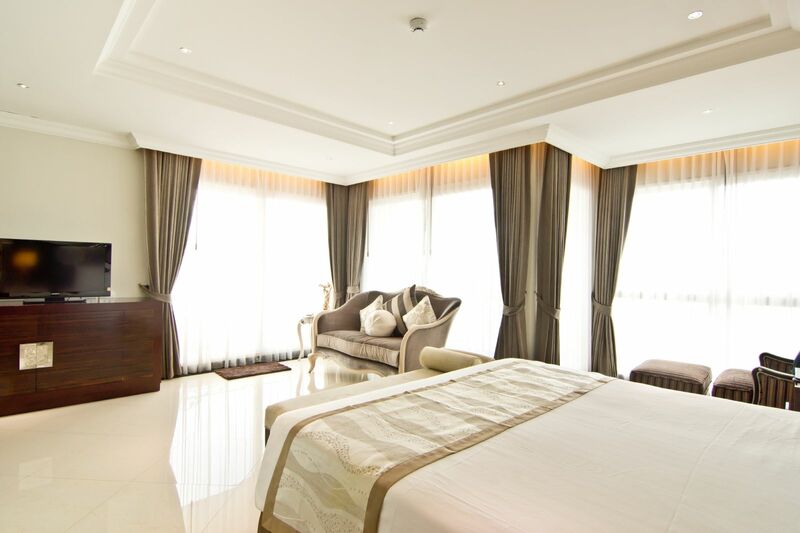 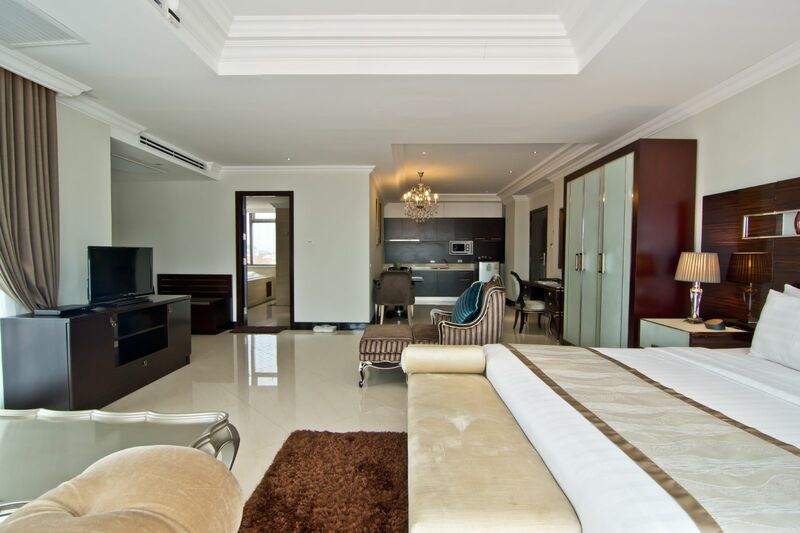 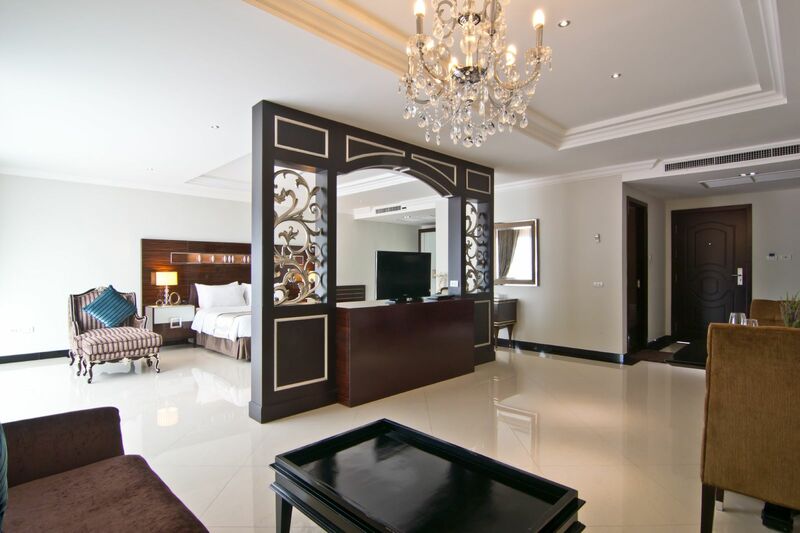 LK Royal Wing Pattaya is a striking 3-star property conveniently situated in Soi Buakhao. 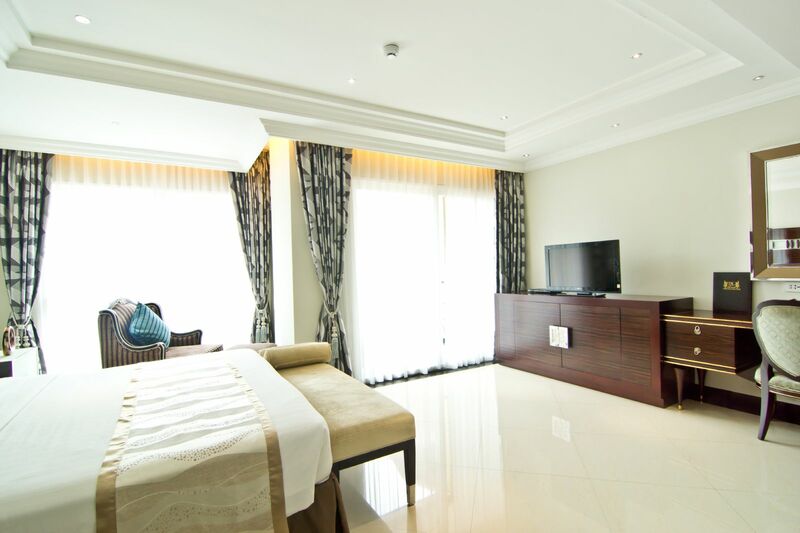 Due to its world-class amenities and warm hospitality, the hotel attracts thousands of tourists round the year. 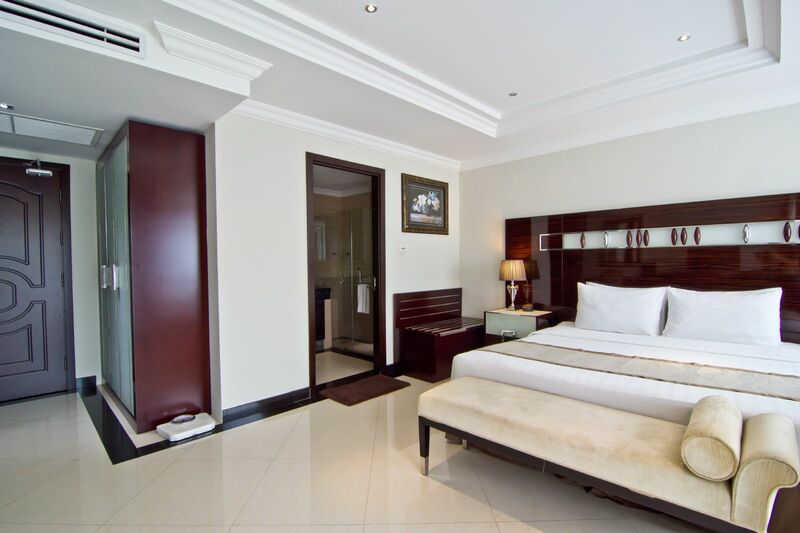 It is considered a convenient accommodation option for business travelers, families and couples. 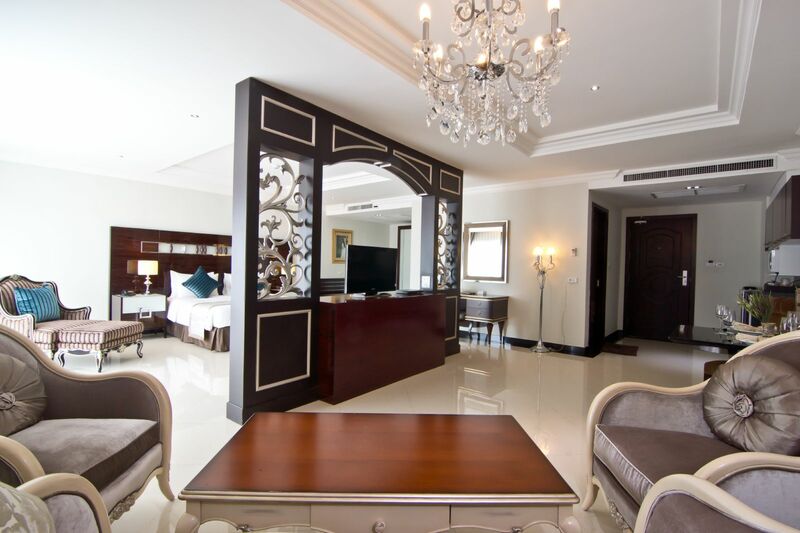 The hotel is not only known for its elegance and luxury but also for organizing business meetings. 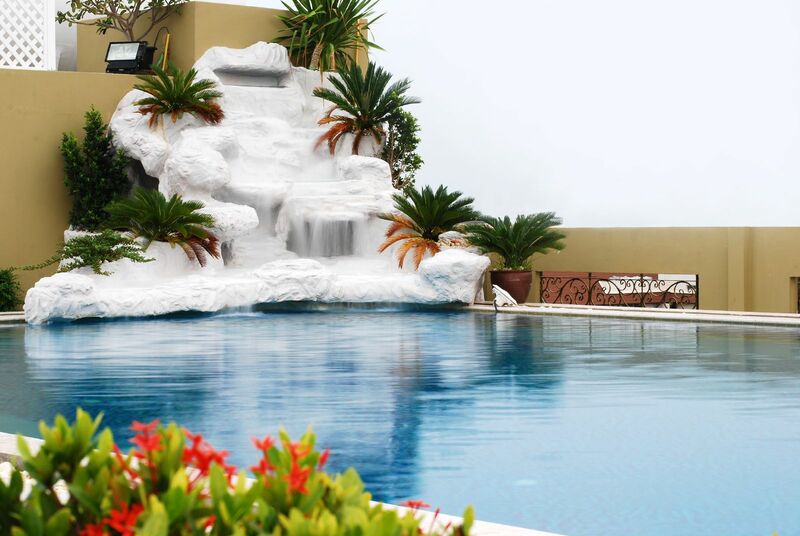 The property facilitates outdoor swimming pool where guests can relax their minds and souls, after a hectic day. 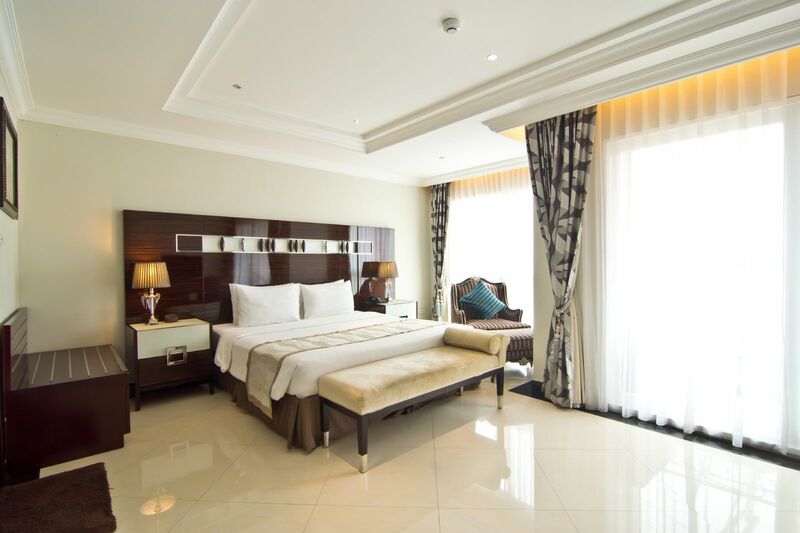 In order to provide a restful stay to guests, the hotel offers a range of accommodation options that are elegantly decorated with modern designs. The property boasts of well-crafted infrastructure, which presents beautiful decors and intricate designs. 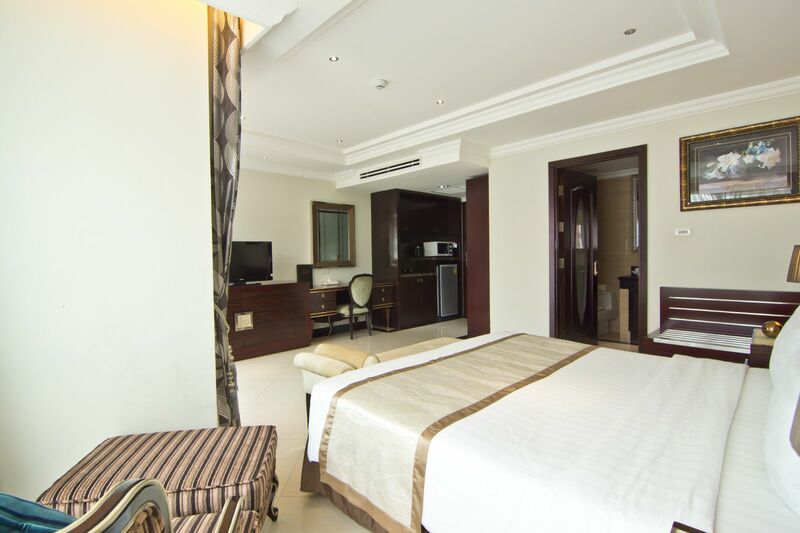 Its close proximity to the airport adds charm to the acclaimed popularity of the hotel. 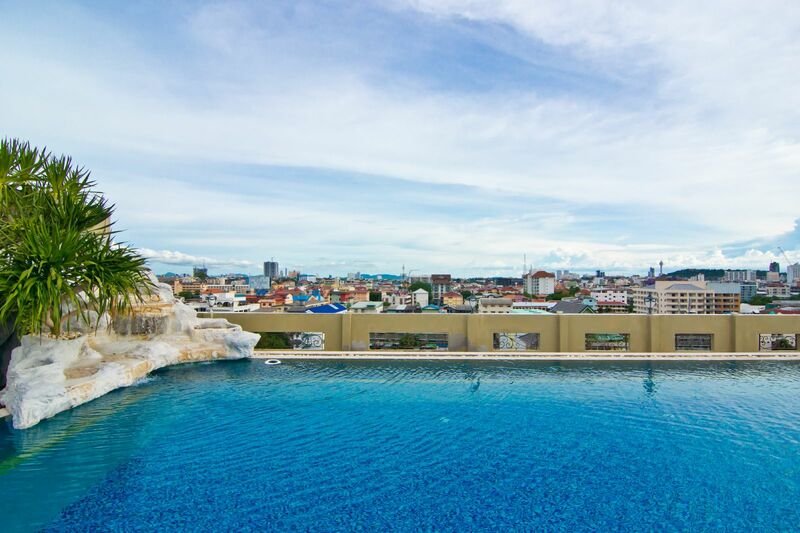 Also, guests can visit nearby attractions such as Pattaya Hill, Pattaya Park Tower, Underwater World Pattaya and Pattaya Water Park. The U-Tapao Rayong-Pattaya International Airport is situated around 42 km away from the hotel. 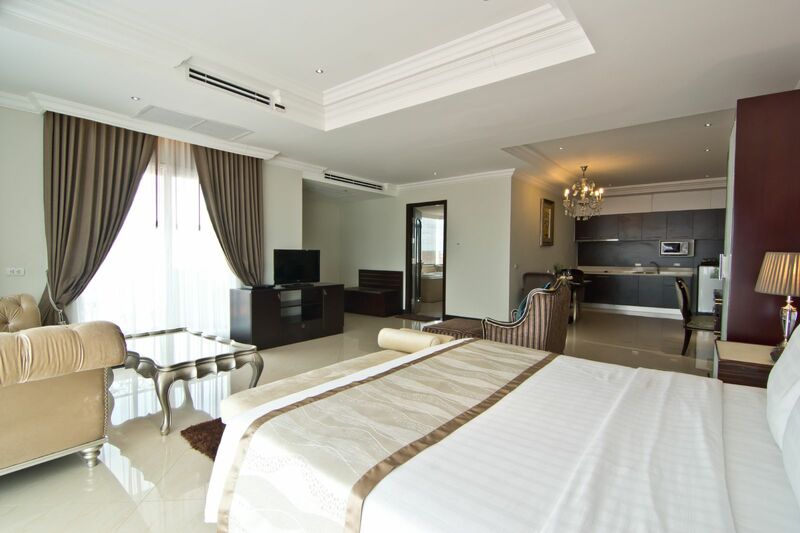 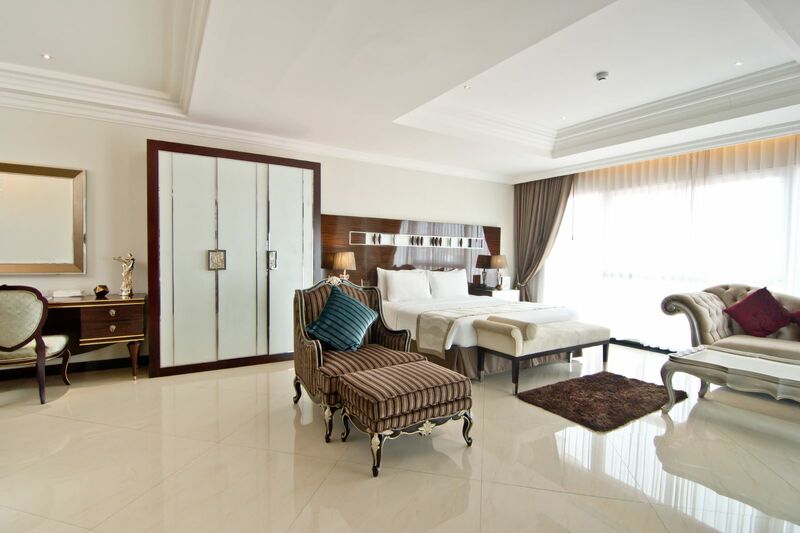 LK Royal Wing Pattaya is maintains tastefully appointed rooms, which are exceptionally spacious and very well-equipped. 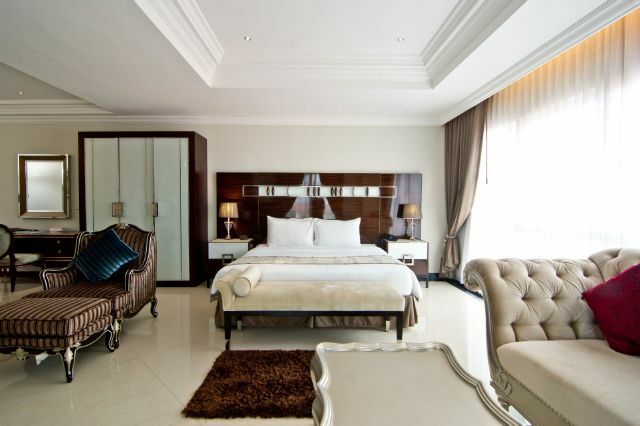 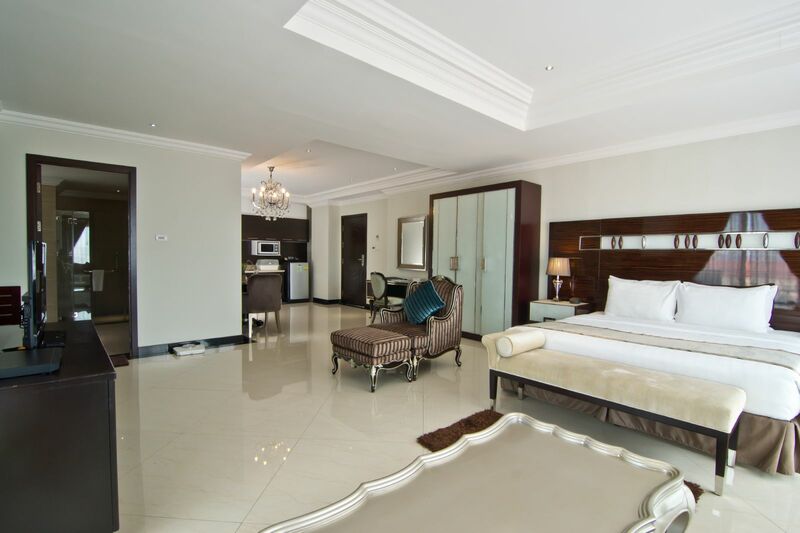 The lodgings are categorized as a studio, superior, deluxe, junior suite, one bedroom suite and executive suite Jacuzzi. Each room of this modern hotel comes with a balcony, offering mesmerizing views of pool and city. 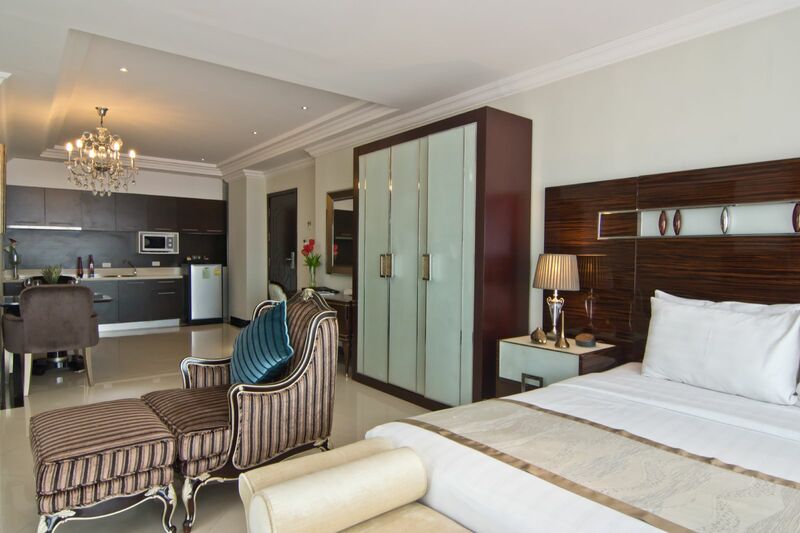 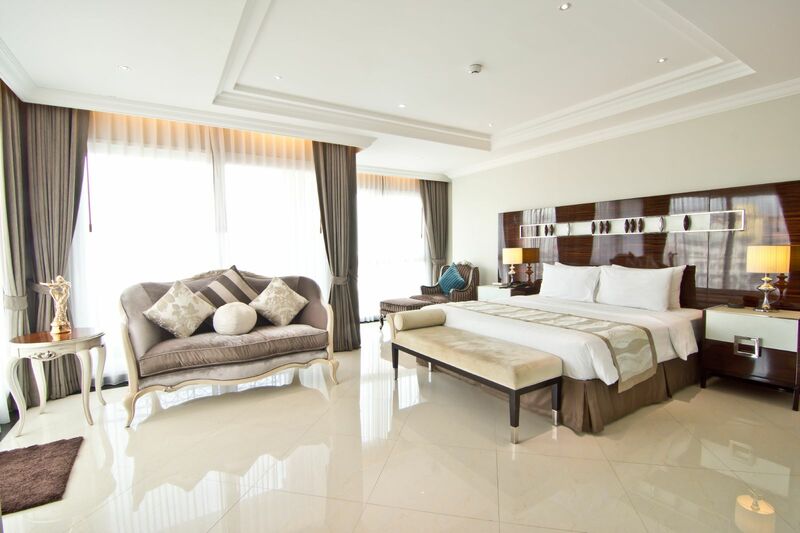 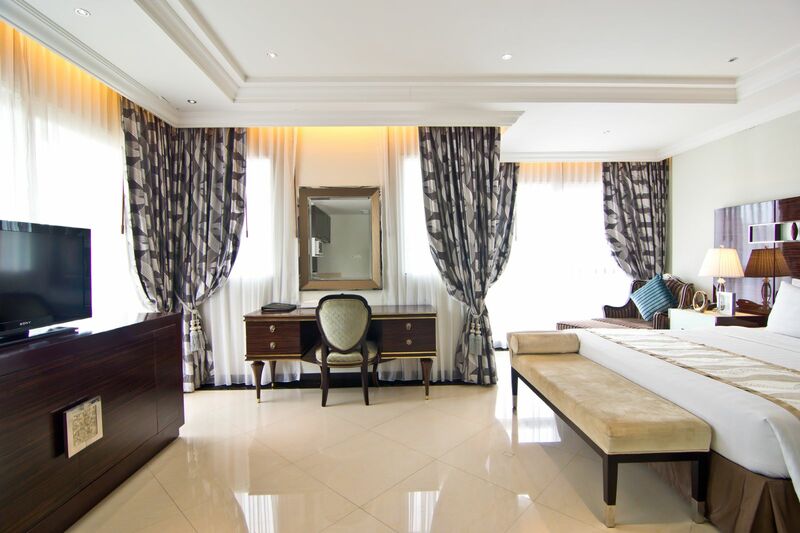 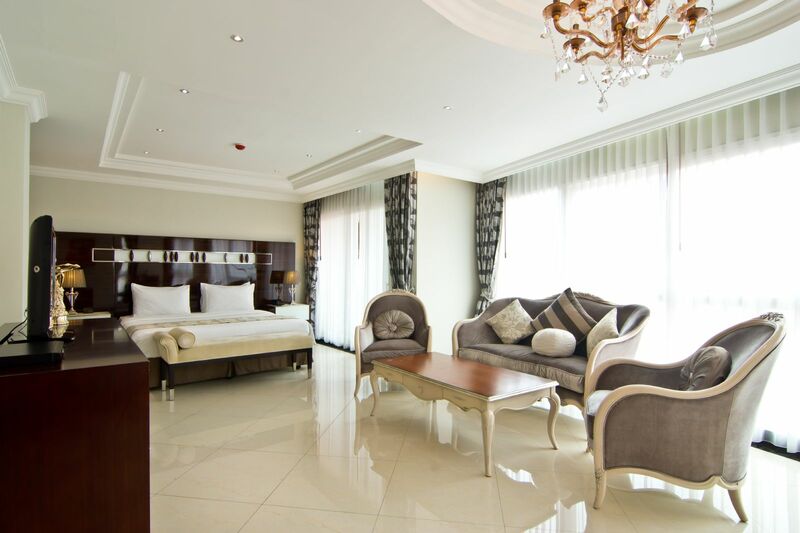 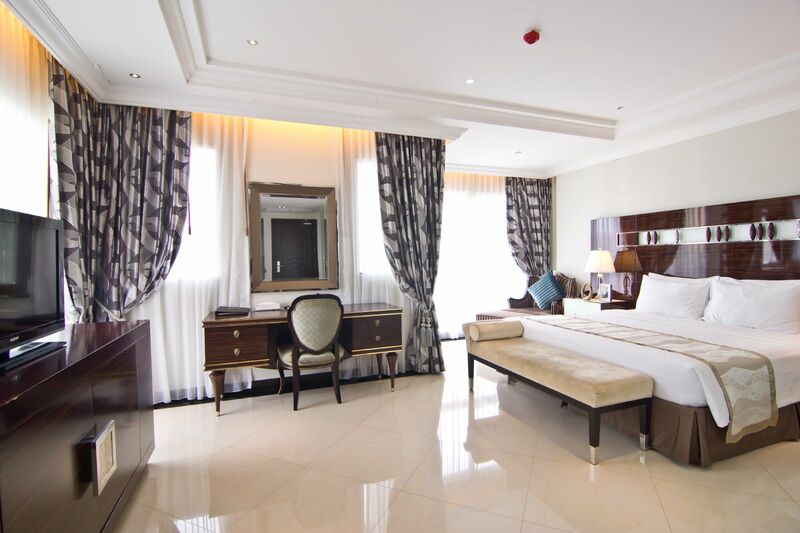 The elegant rooms feature air-conditioners and come with free Wi-Fi access, minibars and television sets. 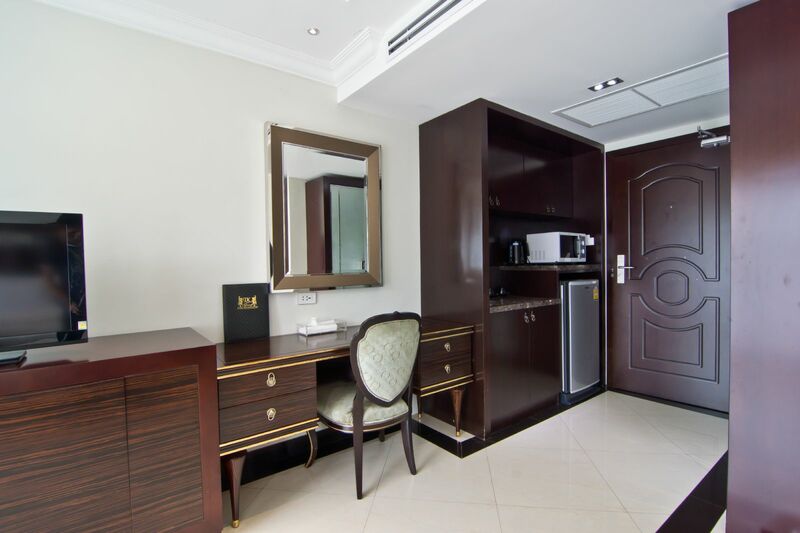 A few of the suites room are provided with living areas and well-equipped kitchens. 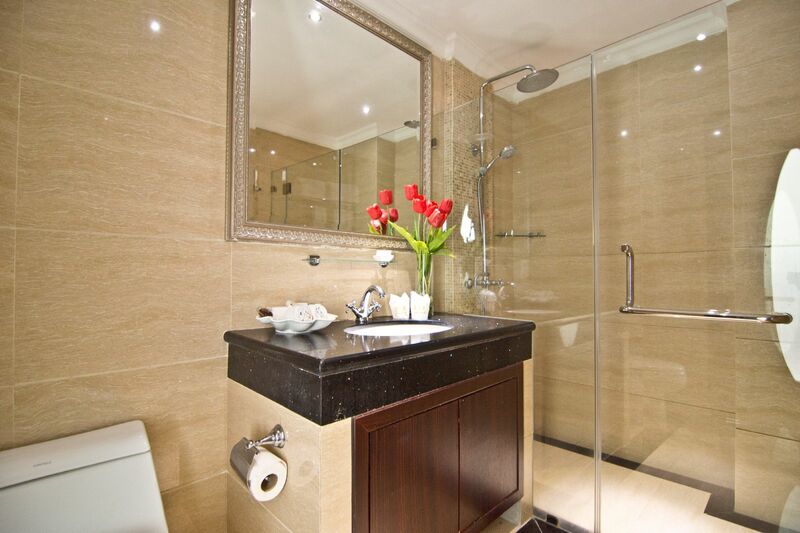 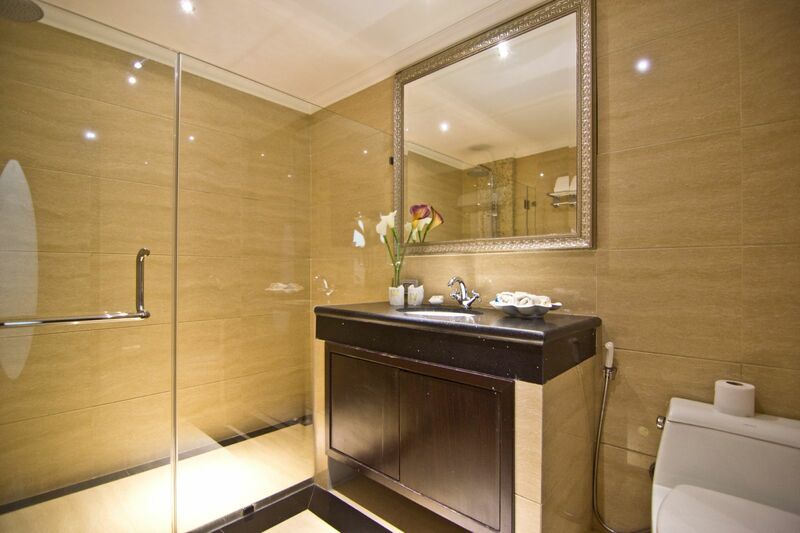 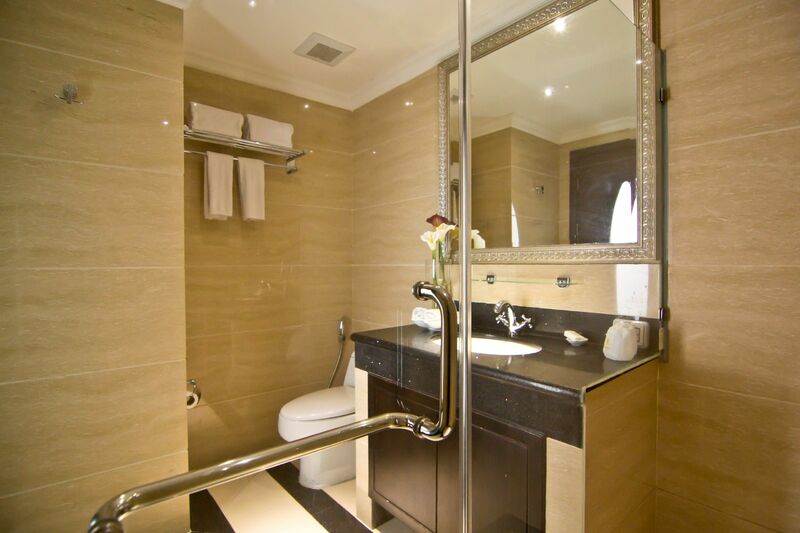 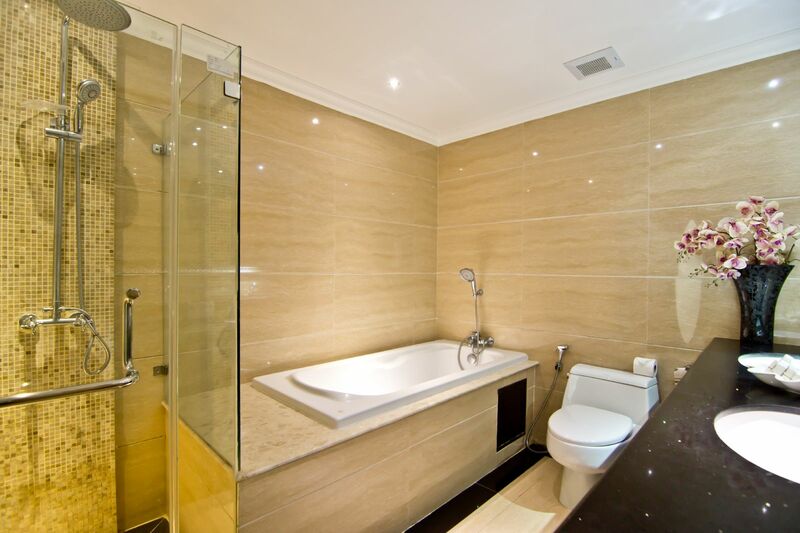 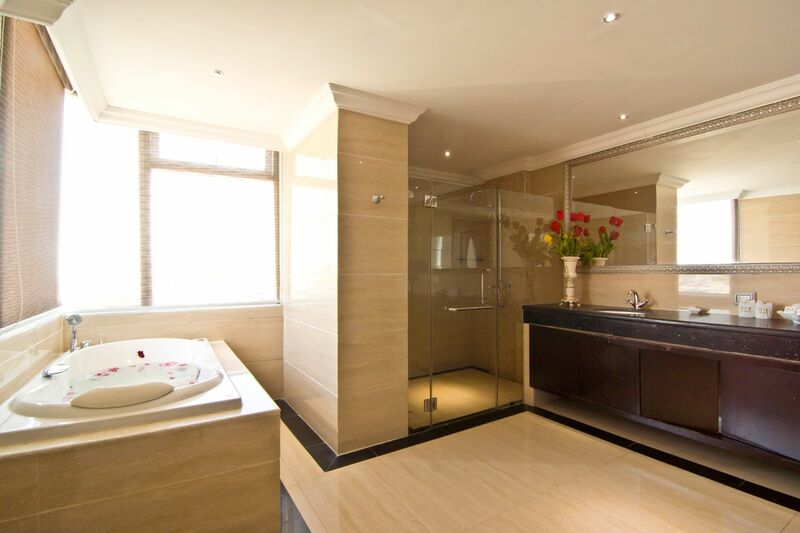 The attached bathrooms are feature geyser and essential toiletries. 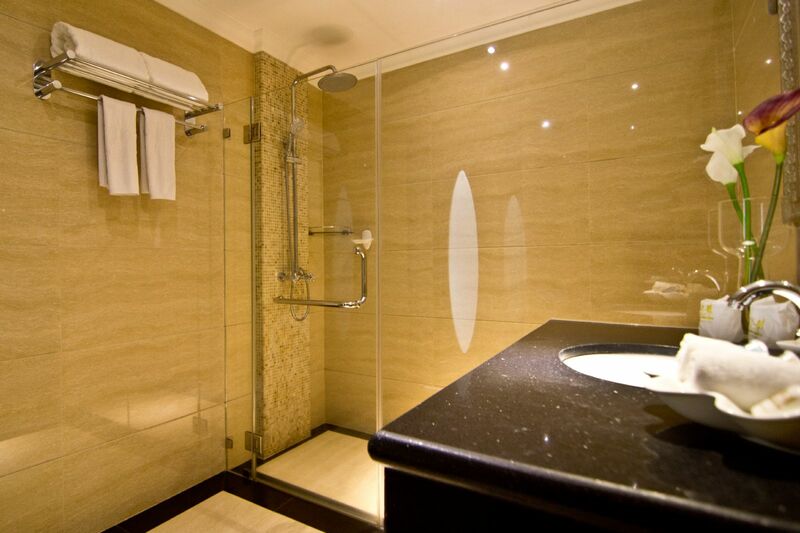 The other amenities include room service, housekeeping, laundry and dry cleaning. 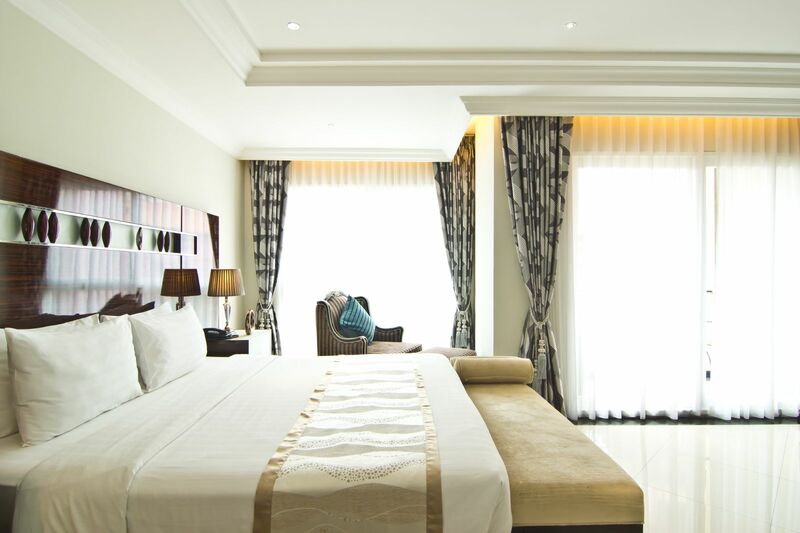 With tastefully appointed rooms, LK Royal Wing Pattaya offers the homely surroundings to the guests. 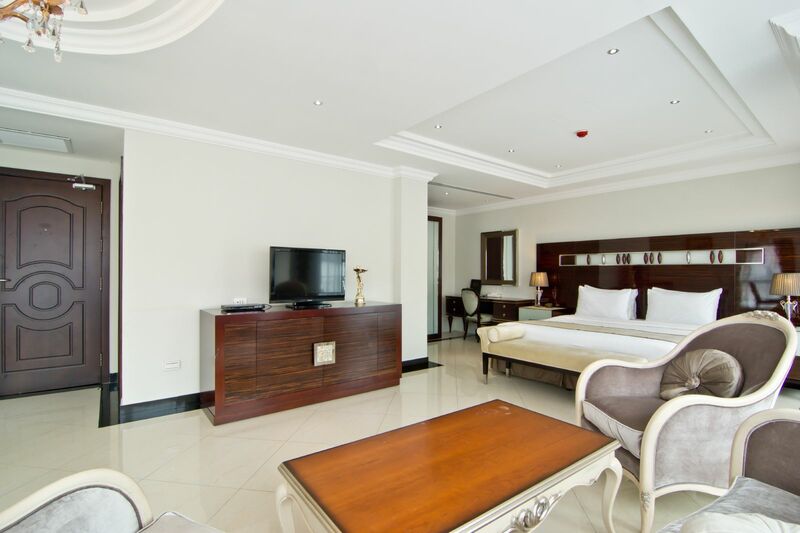 The hotel is renowned for offering peaceful surroundings as well all the modern amenities that one can expect from any luxurious property. 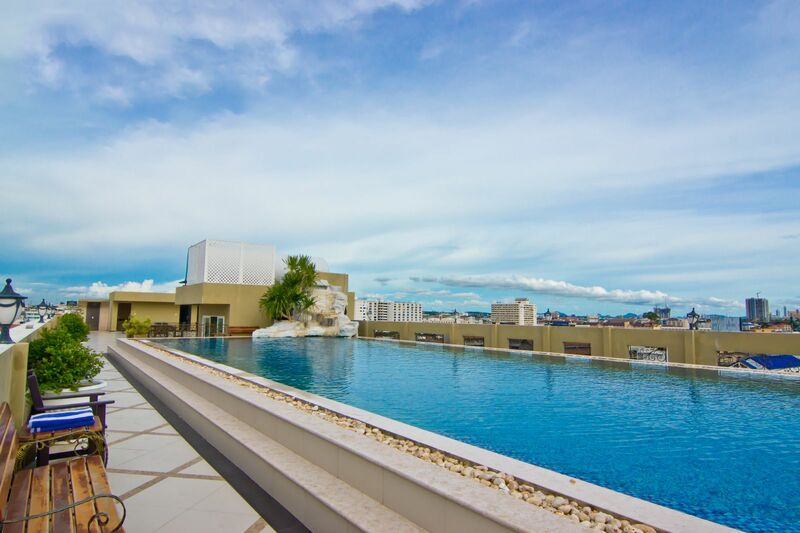 The hotel maintains a swimming pool, which gives a chance to guests to relax in a free time. 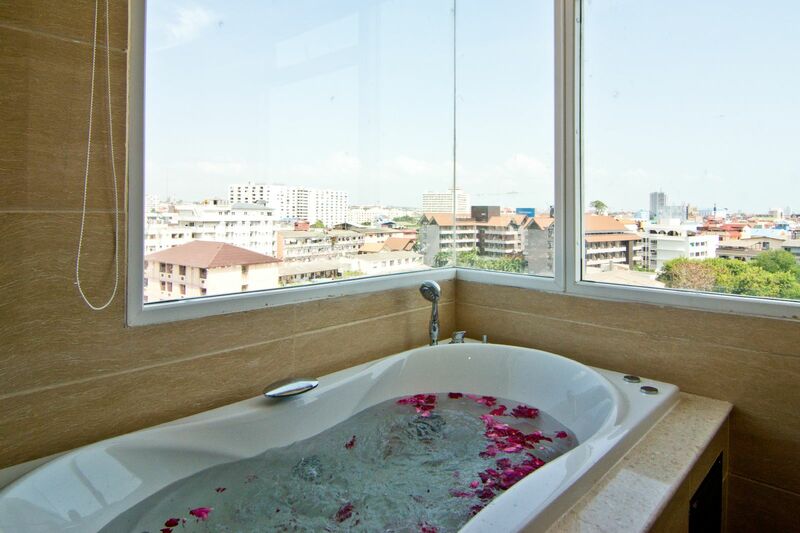 In addition, its terrace offers awe-inspiring views of the city. 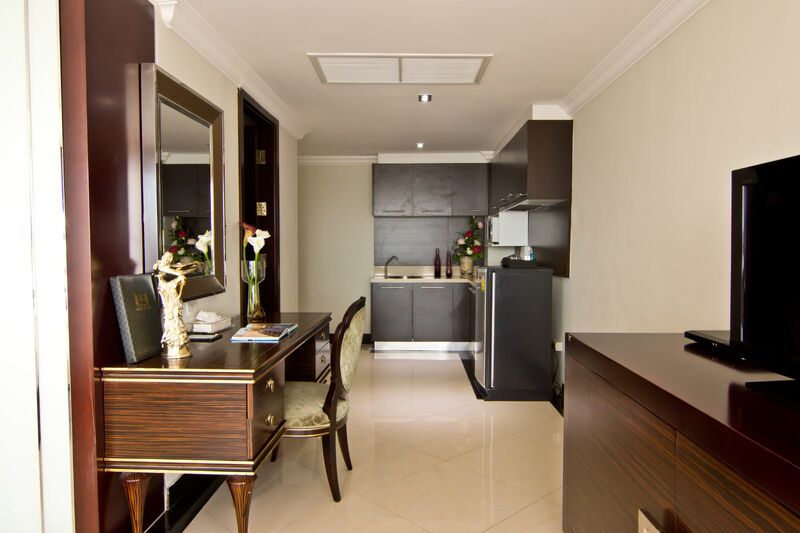 One can access free Wi-Fi service that is provided throughout the property. 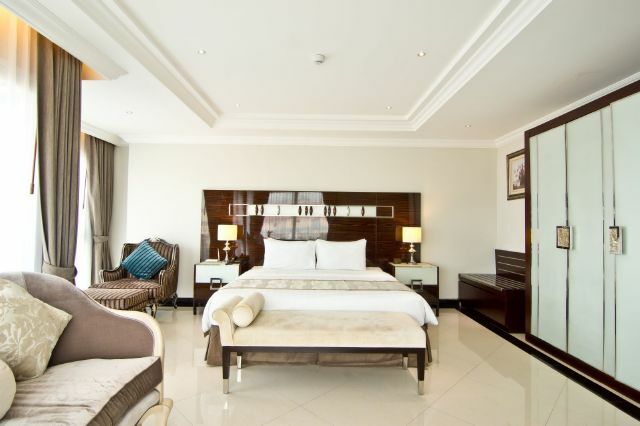 Further, the hotel features a meeting room and car parking area. 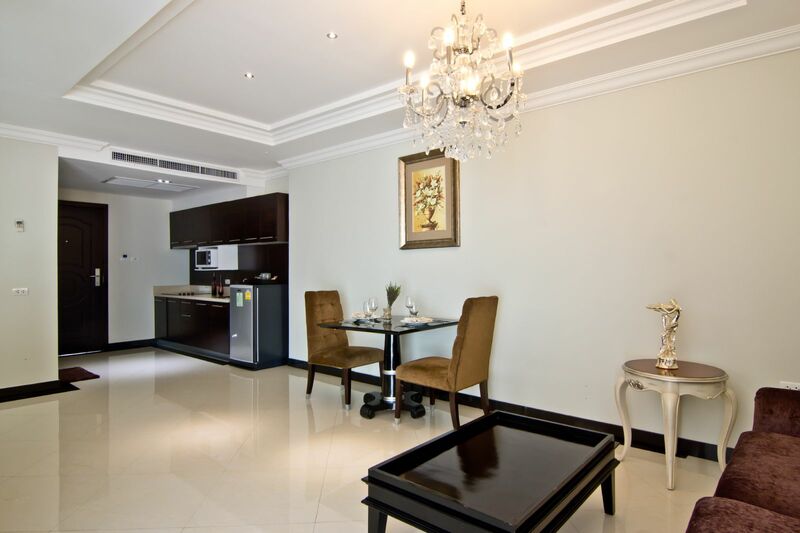 The on-site restaurant serves a range of European and Thai delicacies. 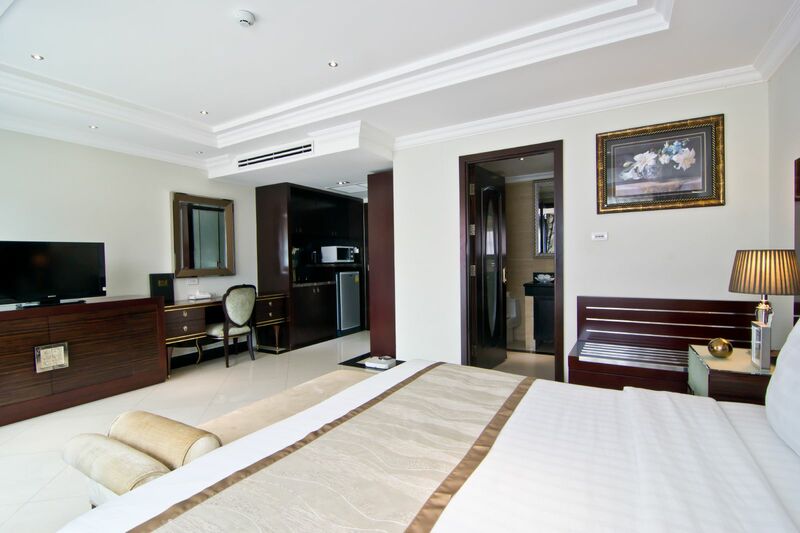 Guests are provided with airport transfer, laundry service and security services. 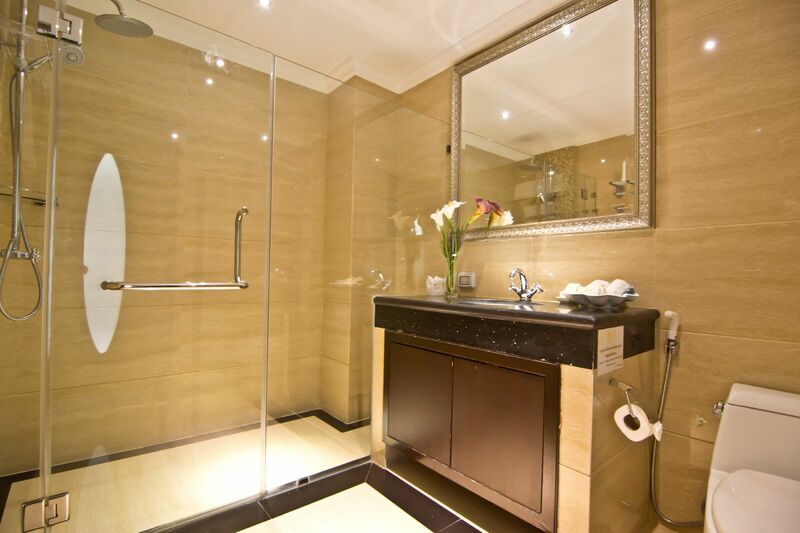 A few more services provided by the hotel include in-room maid cleaning and separate smoking area. 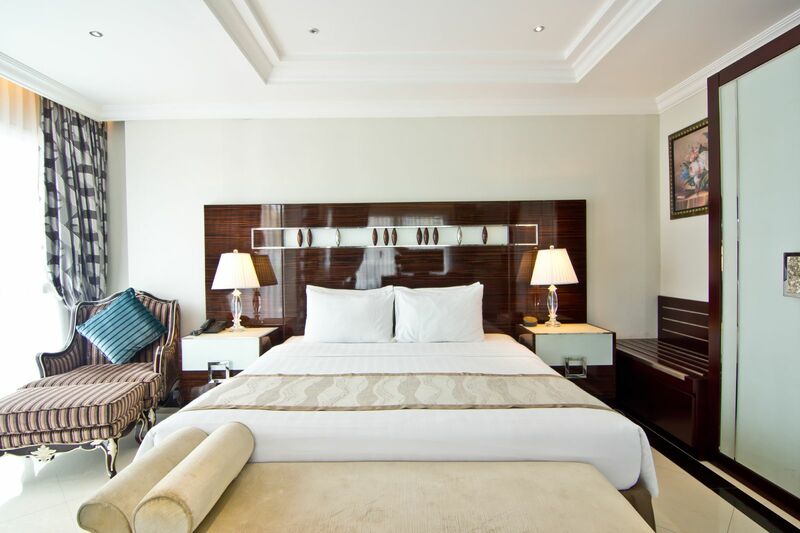 LK Royal Wing Pattaya features an in-house restaurant, Le Kitchen Restaurant, which is known to satiate taste buds of all kinds of travelers. 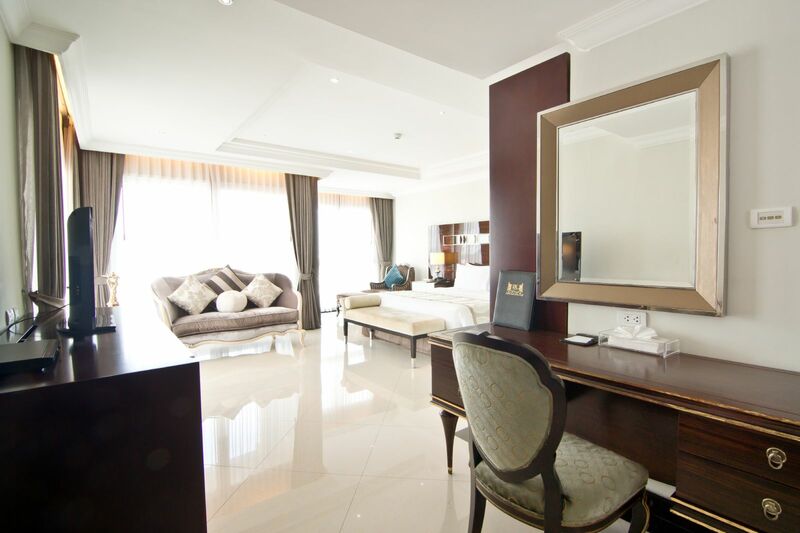 The hotel offers ideal settings for breakfast, lunch and dinner. 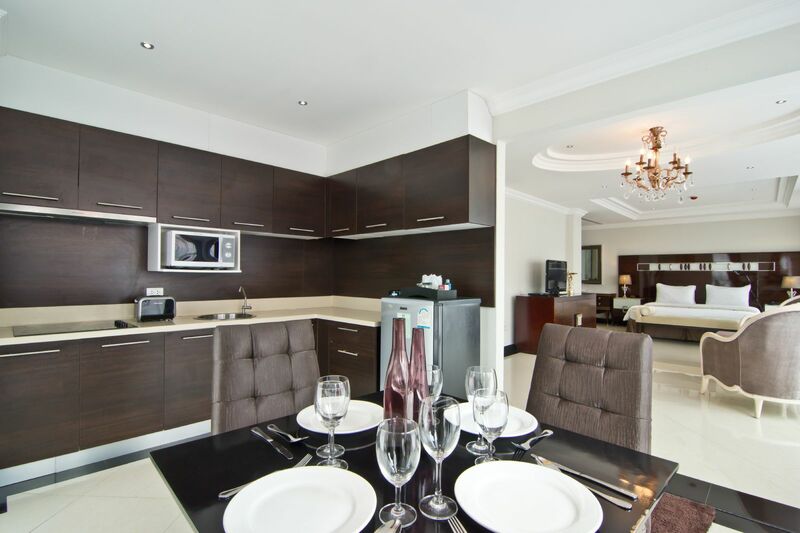 Le' Kitchen serves offers views of the on-site swimming pool and serves American breakfast to guests. 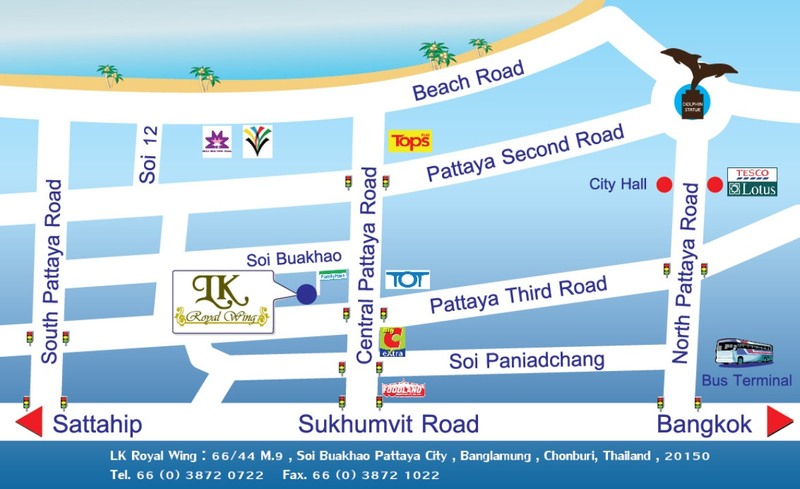 Some of the other cuisines available for lunch and dinner include Thai and western. 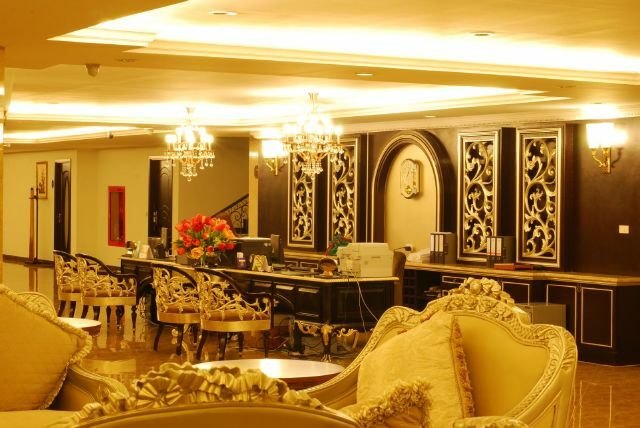 The restaurant also serves refreshing teas and coffees with sumptuous snacks. Notably, the hotel is situated close to dining outlets, striking pubs and bars. 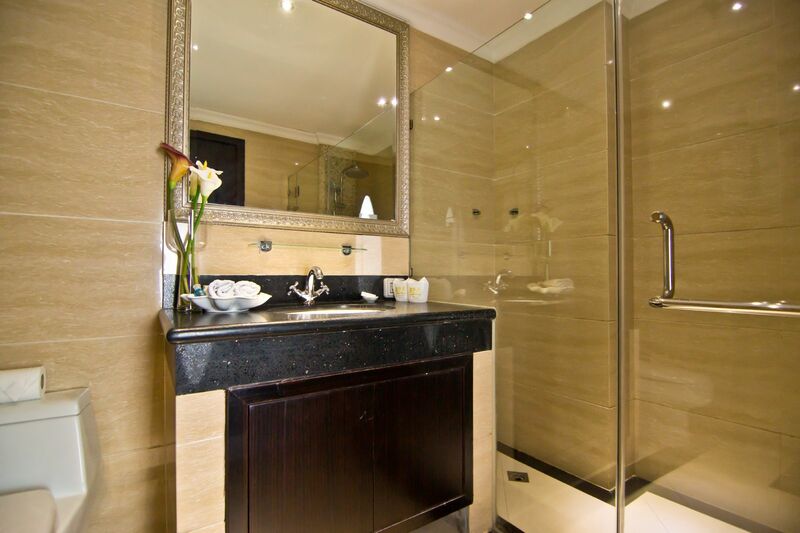 The nearby restaurants include Nicky's Bar & Guesthouse, Smokin' Joe's BBQ, M.C. Burger and Acropolis Greek Restaurant. 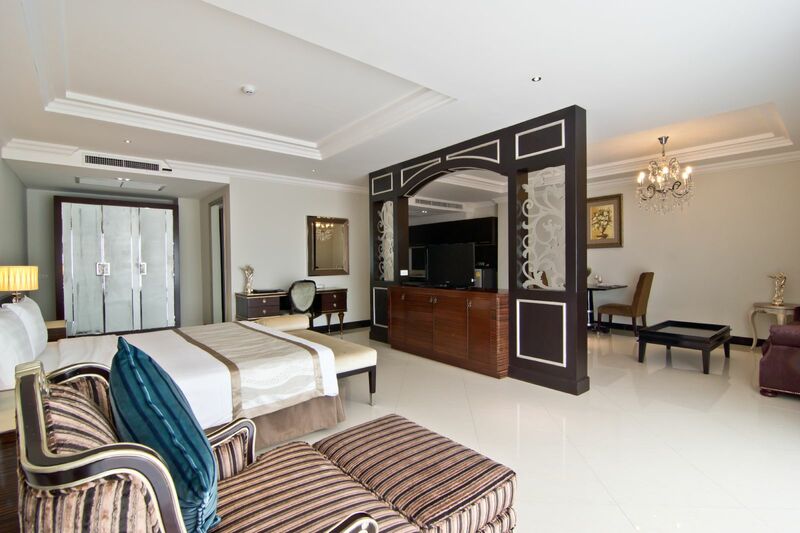 LK Royal Wing Pattaya offers a luxurious stay to all. 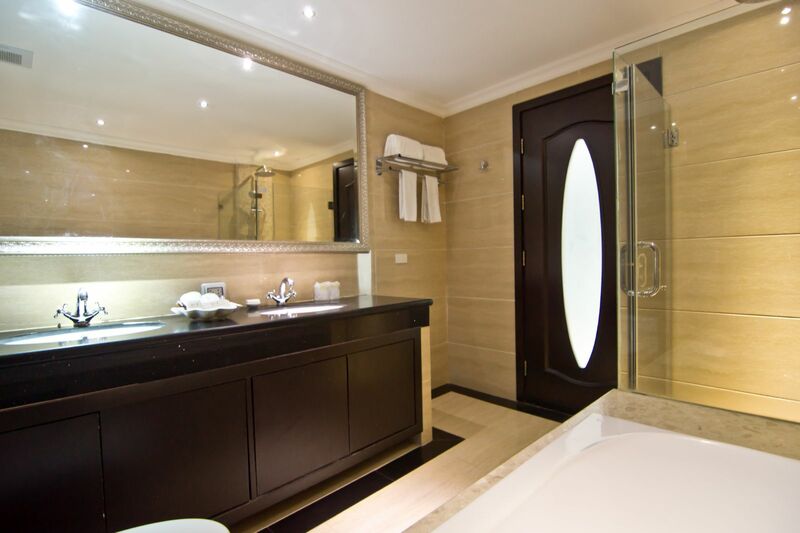 It is one of the best options that one cannot afford to miss-out. 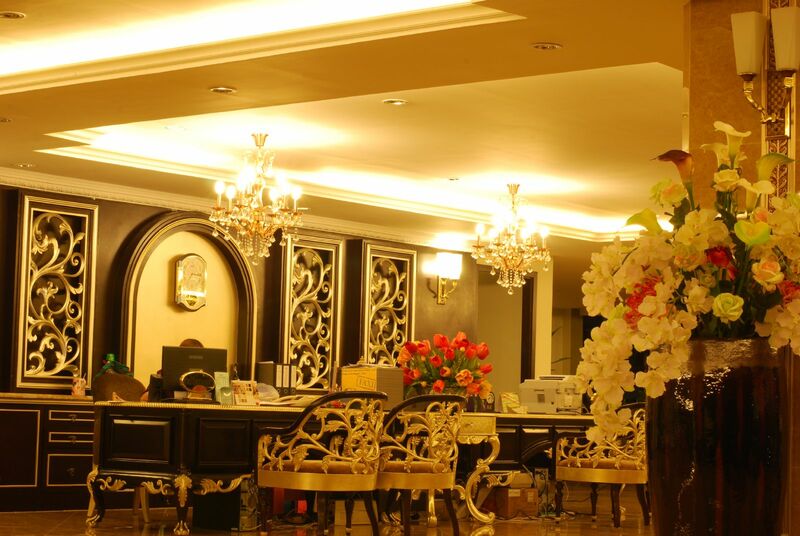 The amiable staff of the hotel does the best to impress its guests and meet all their needs. 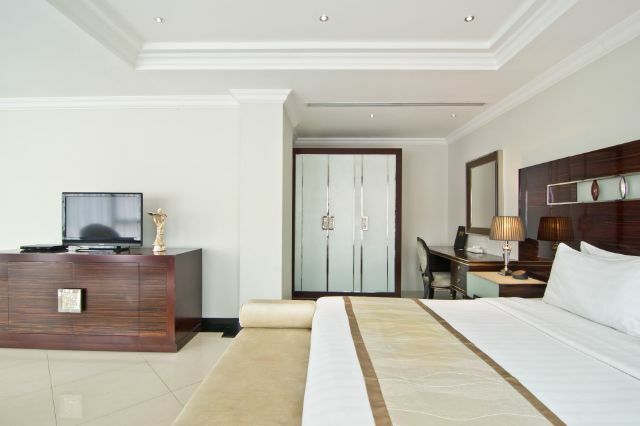 Does the hotels restaurant serve Indian cuisine? 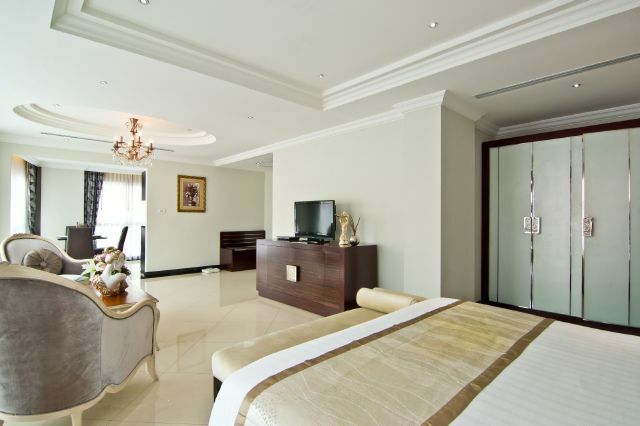 No, the hotel doesnt serve Indian cuisine. 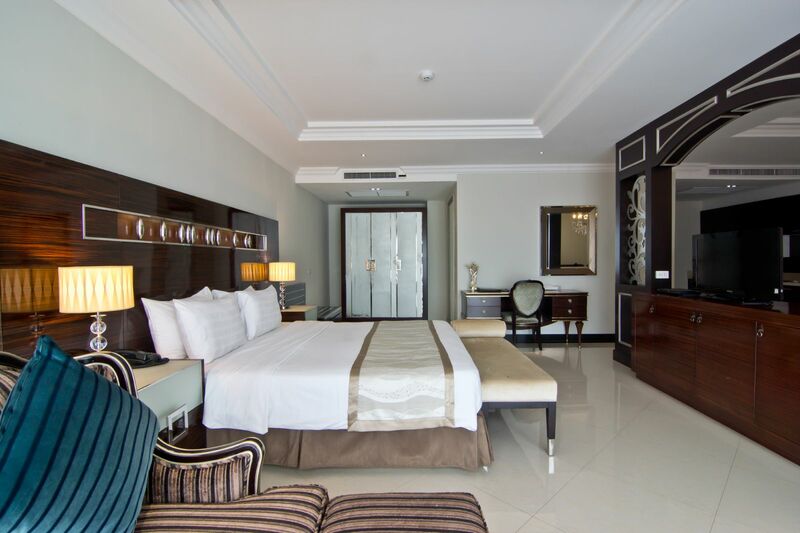 Can guests avail pickup service from the airport? 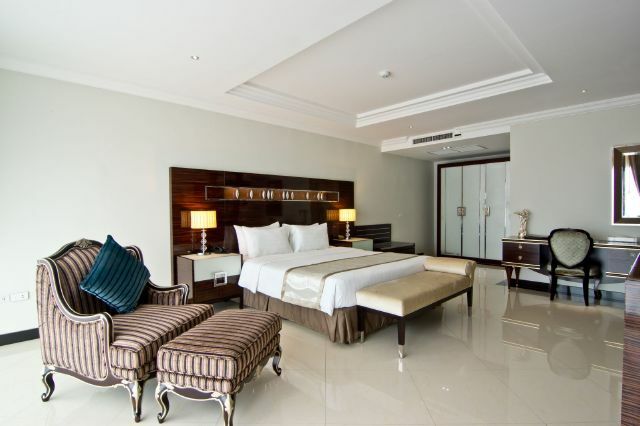 Yes, guests avail pickup service from the airport at LK Royal Wing Pattaya. 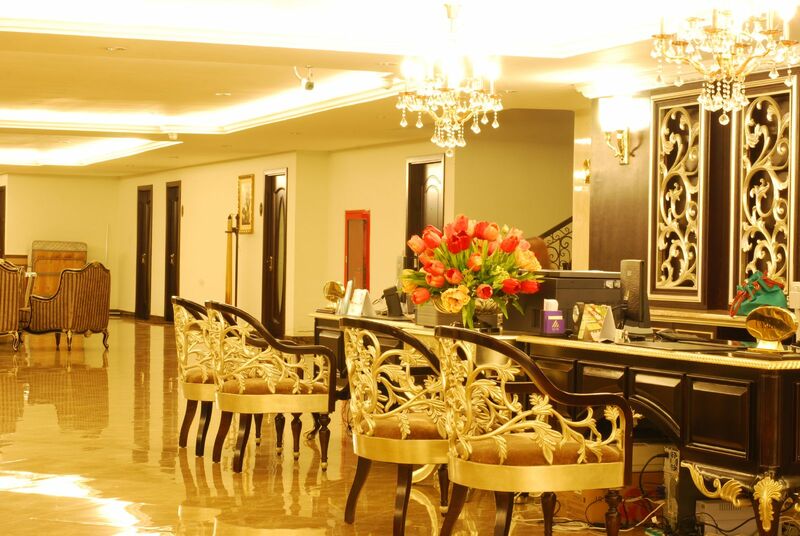 What are the leisure things to do in and around the establishment? 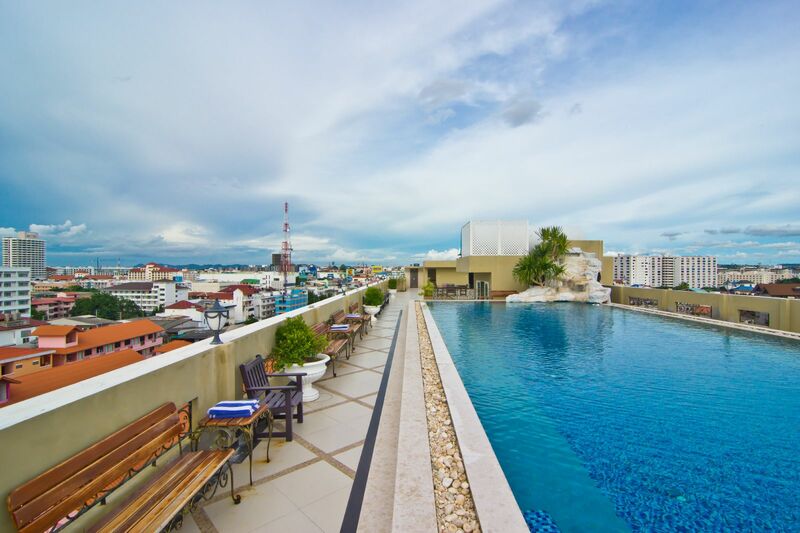 The hotel LK Royal Wing Pattaya features a stunning outdoor pool for guests leisure. 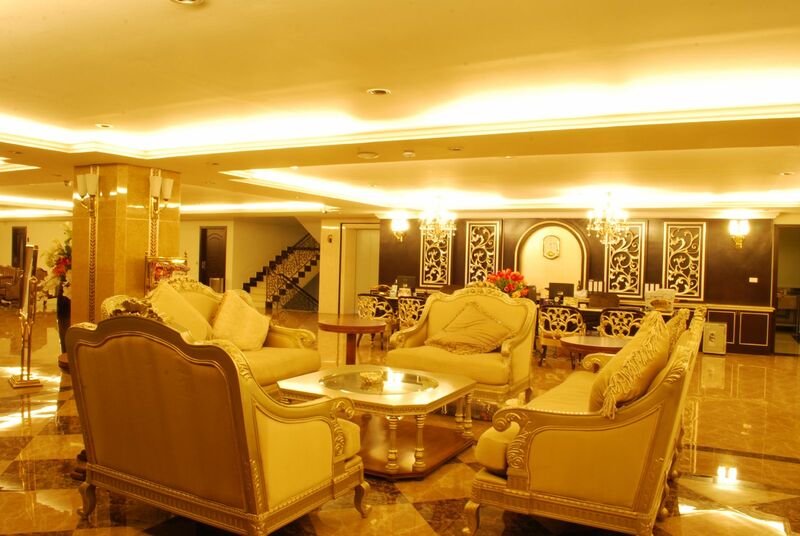 One can also explore vibrant life of the city by dining in the bars and pubs. 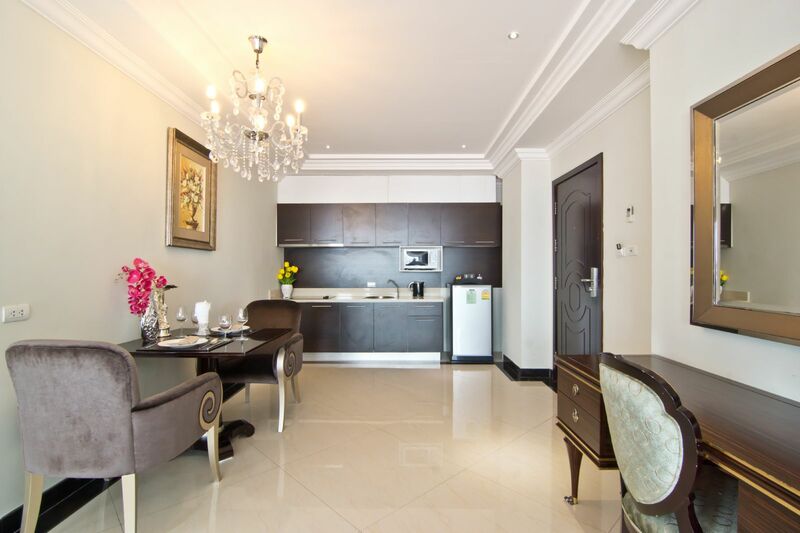 Further, shopaholics can visit nearby street markets and malls. 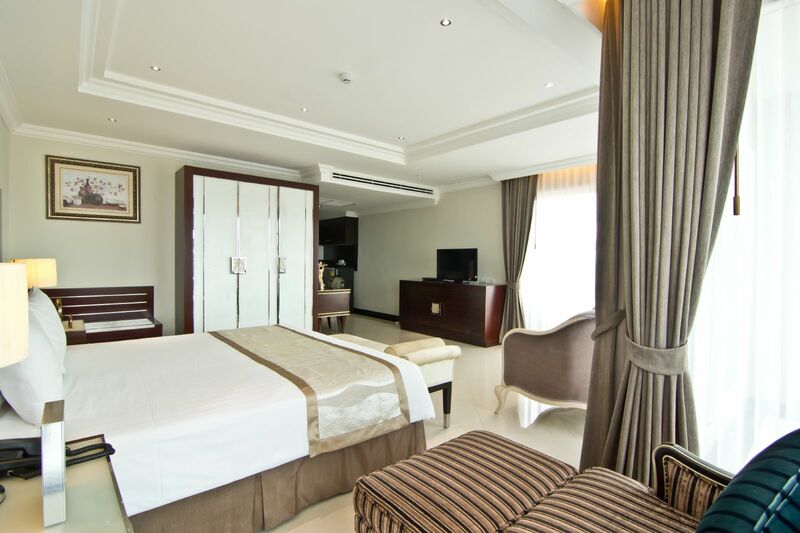 Yes, the hotel LK Royal Wing Pattaya offers laundry service for the guests convenience. 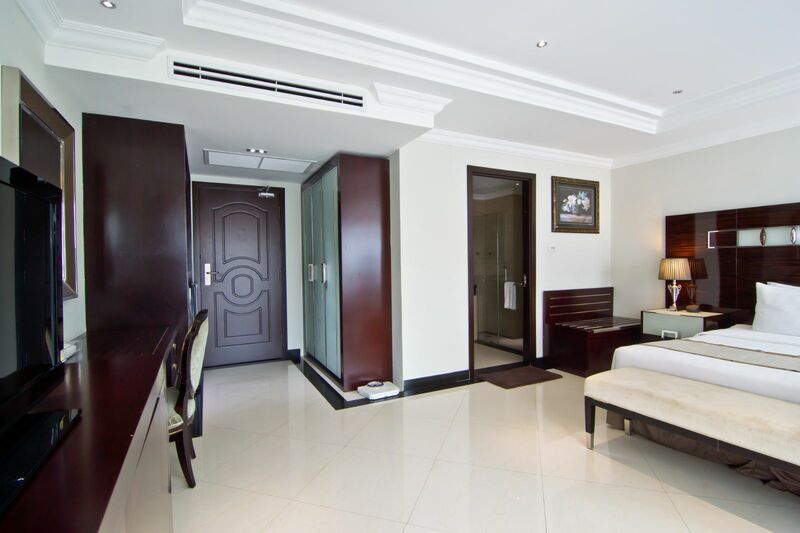 Strategically located in Soi Buakhao, LK Royal Wing Pattaya assures the comfortable stay to its proximity to the markets, restaurants and several tourist attractions make it one of the best accommodation properties in the city. 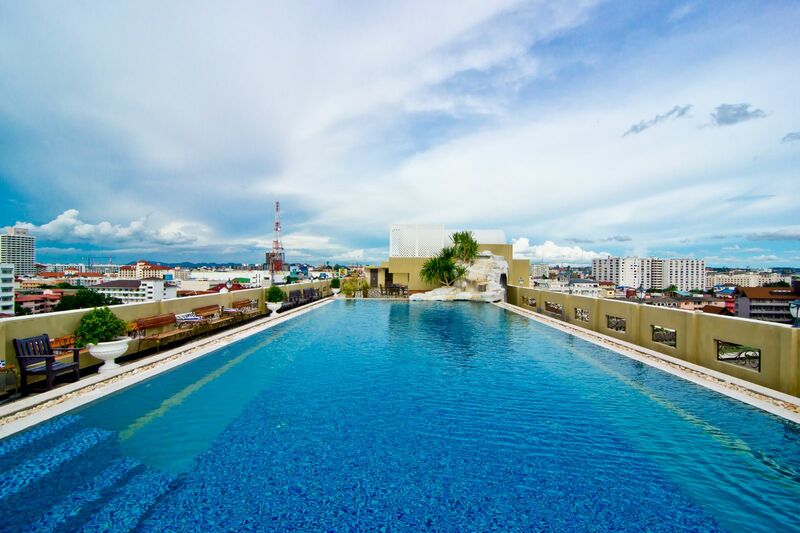 The hotel features a modernized swimming pool where guests can rejuvenate their souls after a busy day. 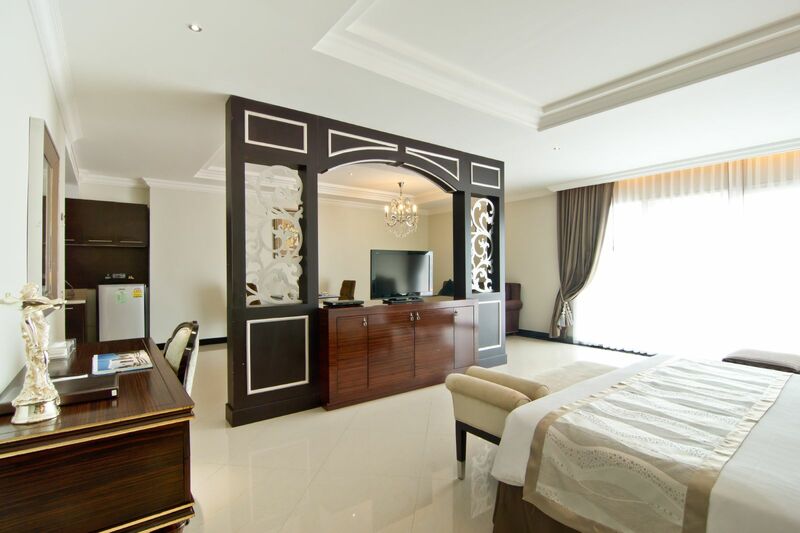 Additionally, the facility of the free internet allows guests to entertain themselves with a number of online shows and movies. 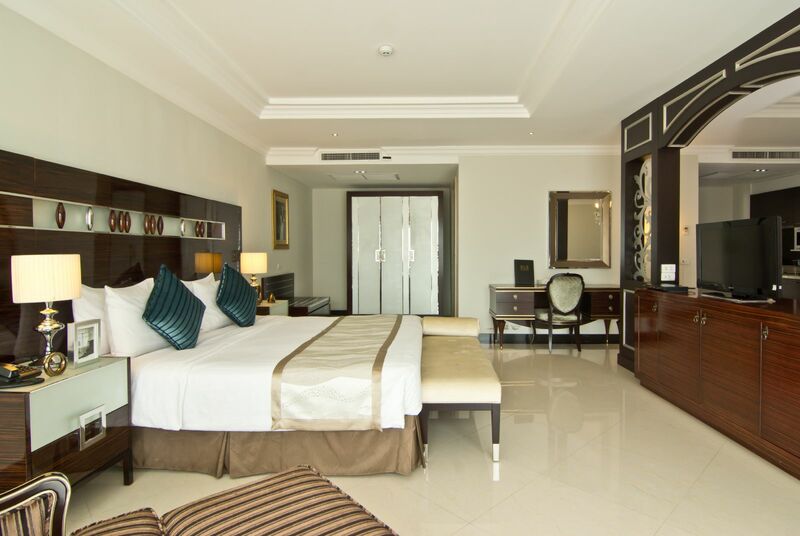 The stylish rooms are equipped with a balcony and well-furnished bathrooms. 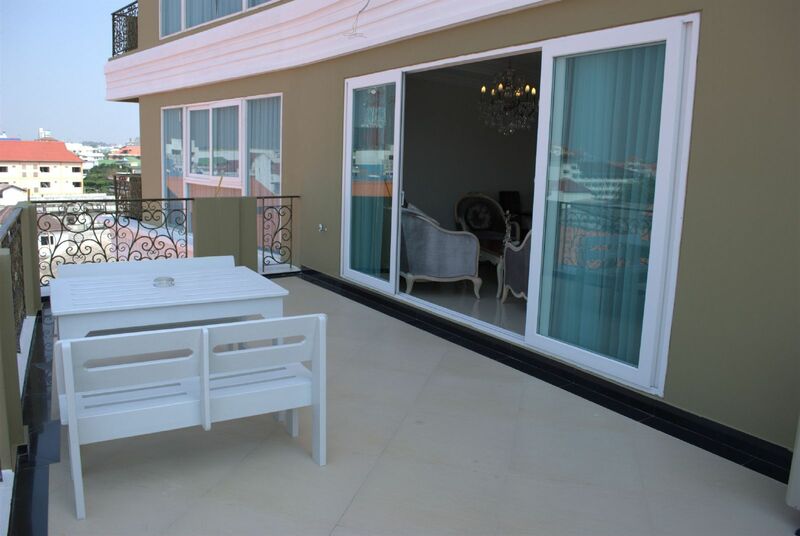 The balconies of the hotel offer splendid vistas of the striking city. 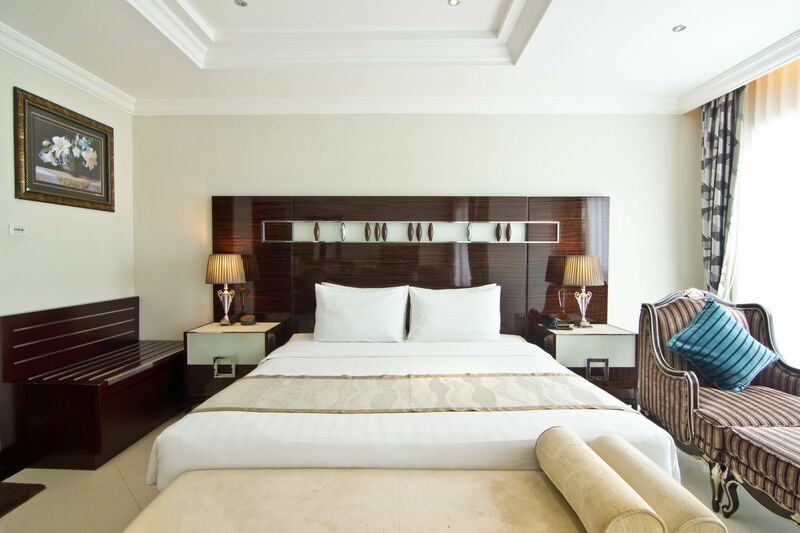 All the rooms are designed to provide tranquil environs and cozy stay to guests. 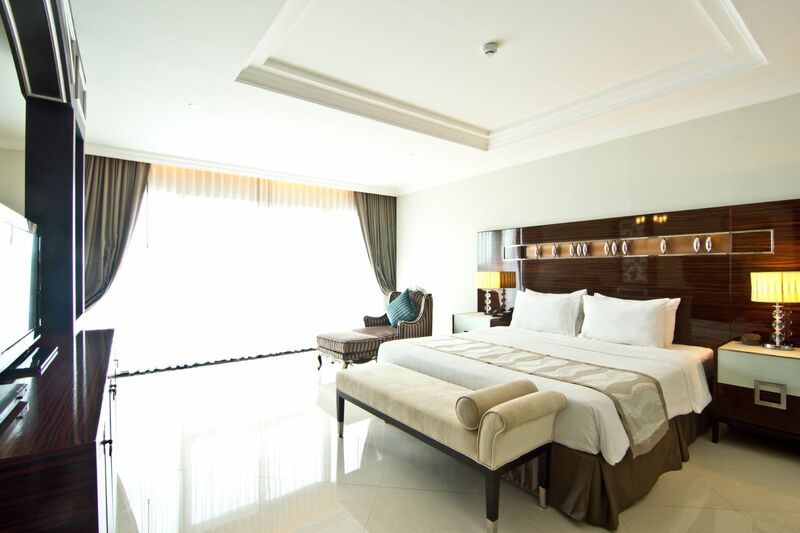 For the convenience of travelers, the hotel also offers laundry and housekeeping facilities. 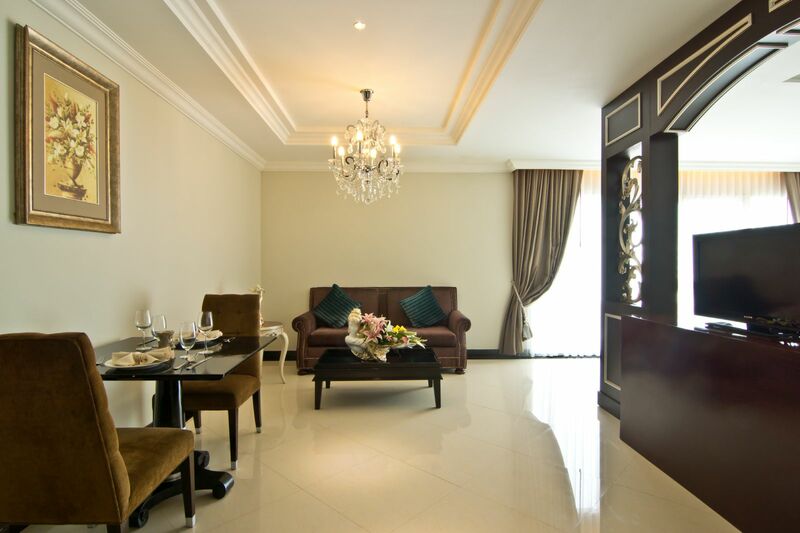 The on-site restaurant serves a range of cuisines, including Thai and European. 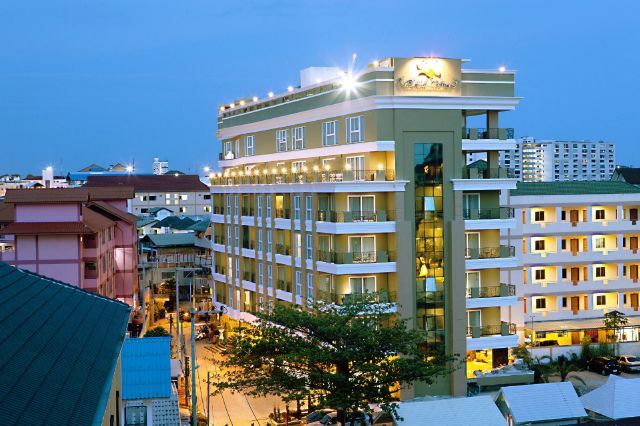 Further, the local dining outlets and bars are situated very close to the hotel. 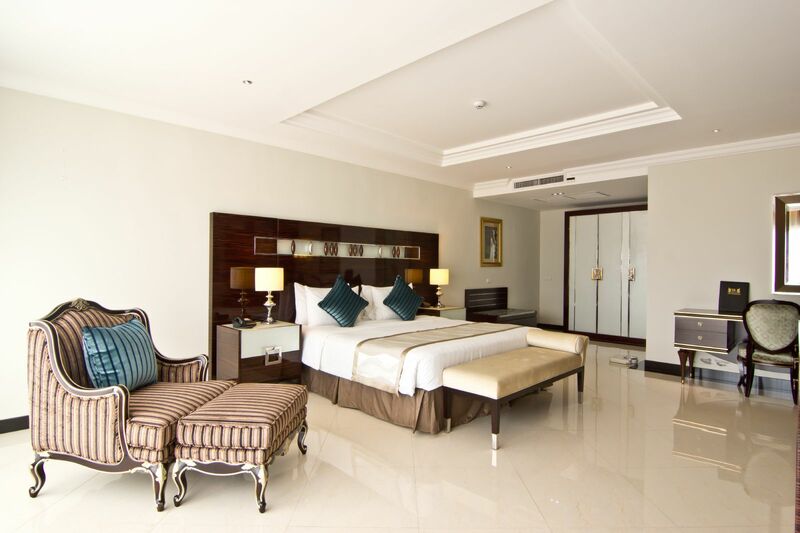 With all these modern facilities and elegant infrastructure, the hotel LK Royal Wing Pattaya is a great choice for travelers.